BECAUSE of the little orchestra that I play in, I get invited to play in a lot of different events throughout the Valley. Many of these invitations I have to turn down because of time and concience. But, after one spring rehearsal about a year ago, I was invited to play in something that I was very excited about. A fellow musician came up and asked if I would be interested in playing with a German brass band for an anniversary dinner for the Luftwaffe at Luke Air Force Base. Being a huge fan of military history, I told him that I would absolutely love to do it, and I couldn’t wait to play at this celebration. The gig was in the fall, so I had to wait all spring and summer to play, and needless to say, I majorly built this event up in my mind. 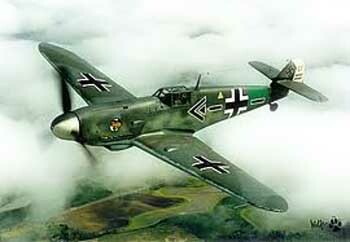 I had visions of German and American pilots walking through the crowd, regaling us with stories of flying in the wars. All of this, in my mind, against a backdrop of ME-109’s and other fighter planes at Luke. But, as time progressed, a different picture started taking shape. 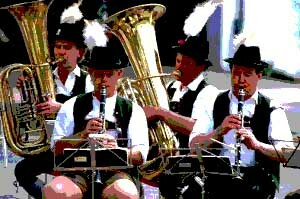 The leader of the brass band contacted me through email, and I learned that this band was indeed a German brass band, but only in the music that they played. They were actually based in New Hampshire. Well, that was kind of a bummer, as I thought they were coming from Germany, but that’s ok, because we were still going to see some amazing things. Then, in one correspondence with the leader of this band, he asked me if I owned any lederhosen. Well, of course I don’t own any lederhosen, I’m from Arizona! He said that was ok, that they had extra sets that I could wear as well as knee socks and felt alpine hats. Suddenly, the idea of walking around in full traditional German gear was casting a bit of a pall on my idea of what this event was going to be like. But, I had already committed and was still looking forward to seeing Luke Air Force base up close and personal. Finally, fall had come and the gig was near. I received the itinerary in an email, and found out t hat the gig was at Goodyear airport, not at Luke like they had said all along. Suddenly, this was not turning out to be what I was imagining it would be. So, Friday night arrives before the gig, and I show up at the dress rehearsal. I’m given a few pair of lederhosen to try on, and the smallest ones they had were gigantic. I looked like one of those old cartoons where the character would wear a barrel with suspenders. It was terrible. The dress rehearsal went fine, but it turns out that the people we would be playing for weren’t old pilots, but young Luftwaffe pilots fresh from Germany. And there were no jets or fighter planes, just small trainers that these young kids flew. Well, that was pretty much strike three for me. Little did I know that it would actually get worse. I show up in my awful new uniform ready to play, and we start playing outside the hangar before marching inside and up onto the stage. We each were given three small books of music, all written in German. While the celebration was going on, the band leader would call out the color of the book, and then the number of the song, and we would play that song. Except, he would do a lot of improvising, and start playing some German song that wasn’t in any book, and we were supposed to follow along. Then, when he finished, he would just start berating the band for not playing the way he wanted. It was absolutely miserable! I was counting down the time that we could go off the stage and I could take my ridiculous outfit off and go home. The only good thing was the delicious German dinner that we were all fed. This is just one verse of the multitude dealing with the many gifts that God will give us if only we will accept Him. What an amazing gift, never feeling pain, or anguish, or even death! And we can experience it right now. If you are ready to accept His invitation, or you need anything from this Church, please come forward while we stand and sing. 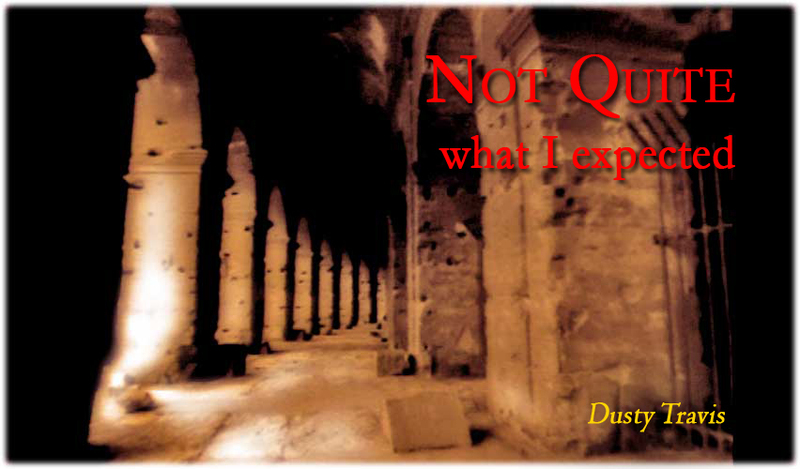 Based on a manuscript for a short talk at the Church of Christ, Valley Congregation (Phoenix, AZ). Used here by kind permission.